Brazil's Supreme Court has blocked former President Lula da Silva from becoming chief of staff to President Dilma Rousseff amid ongoing corruption probes. 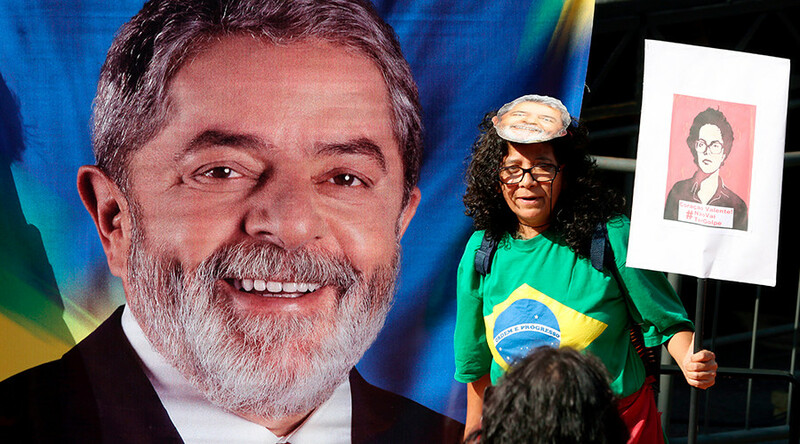 The ruling could stoke new tensions in Brazil, plagued by anti-government demonstrations. Earlier this month, Silva, often referred to as one of the most popular politicians in Brazil's history, was brought in for questioning in an investigation into an alleged kickback scheme in the state oil company Petrobras. Should he become a cabinet minister, he can only be prosecuted with the approval of the Supreme Court. The 70-year-old heavyweight politician was sworn in as chief aide to Rousseff on Thursday, in an effort to help her win back working-class supporters during the worst economic recession in decades. Silva's appointment, which makes it much harder to investigate alleged links to a corruption scandal, immediately came under fire, with critics saying Rousseff deliberately wanted to shield the influential veteran politician from prosecution. "The goal of the falsity is clear: prevent the carrying out of a preventative arrest order" against Silva being considered by a lower court, Justice Gilmar Mendes wrote in his ruling on Friday. The government is likely to appeal the ruling, which will be decided by the full court. Although Rousseff and Silva have repeatedly denied the accusations, tens of thousands demonstrators gathered to rally on Friday. Riot police fired water cannon and tear gas to disperse anti-government protesters who had blocked Sao Paulo’s central thoroughfare since Wednesday, Reuters reported. Last weekend, an estimated three million people took to the streets of Brazil nationwide to demonstrate their disapproval of the country’s president. Protesters blamed Dilma Rousseff for Brazil’s economic downturn over the past few years, and alleged corruption. The Brazilian opposition has called for an investigation into some of Rousseff’s dealings, accusing her of tax violations and allegedly misusing state funds to finance her re-election last year, with the ultimate goal of impeaching her. Tens of thousands of Workers' Party supporters backed Silva at a rally in San Paulo, many calling him "the minister of hope." 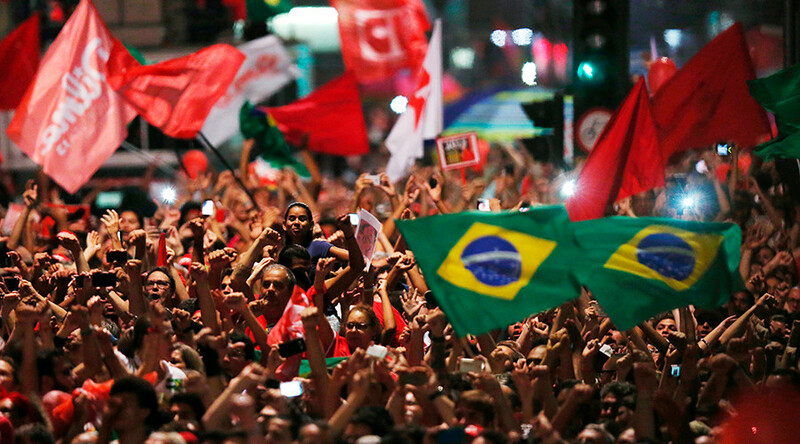 Some 95,000 people took part in the rally on Friday, according to the Datafolha polling agency. Local police estimated turnout at 80,000. "Next week, if there is no impediment, I will start to proudly serve President Dilma and the Brazilian people," Silva, who came from a poor rural farming family and went on to become the country's leader from 2003 to 2011, vowed when he appeared on top of a truck to address the crowd of supporters. "What’s certain is that Lula is bound to become a sort of ‘prime minister’ – implying carte blanche to drastically change Dilma’s wobbly economic policy and forcefully reconnect with the Workers’ Party’s large social base, which is mired in deep distress under massive cuts in social spending. If Lula pulls it off – and that’s a major 'if' - he will also be perfectly positioned as a presidential candidate for the 2018 Brazilian elections, to the despair of the right-wing media-old elite-economic complex," Pepe Escobar, an independent geopolitical analyst, wrote in his opinion piece for RT.